"There's nowhere for me to go…" Vertical Entertainment has premiered an official US trailer for the indie thriller Berlin Syndrome, which debuted at the Sundance Film Festival in January. The film is a dramatic thriller about an Australian woman visiting Berlin who ends up locked in an apartment unable to get out after she hooks up with a German guy she meets in the city. Max Riemelt stars, along with the talented Australian actress Teresa Palmer. The cast includes Lucie Aron, and Matthias Habich. The premise is kind of a metaphor for relationships and being emotionally trapped, but it's also a nerve-wracking thriller that is sometimes uncomfortable to watch. No one wants to be locked anywhere, but this is especially scary. While holidaying in Berlin, Australian photojournalist, Clare meets Andi, a charismatic local man and there is an instant attraction between them. A night of passion ensues. But what initially appears to be the start of a romance suddenly takes an unexpected and sinister turn when Clare wakes the following morning to discover Andi has left for work and locked her in his apartment. An easy mistake to make, of course, except Andi has no intention of letting her go again. 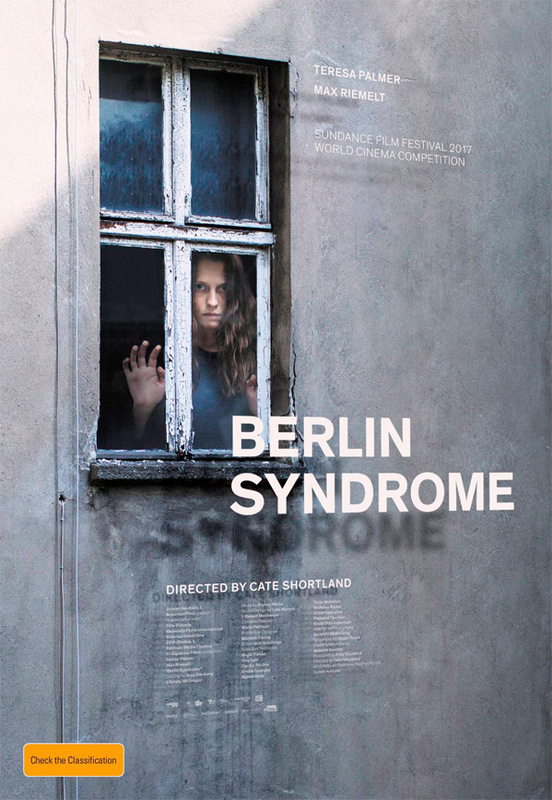 Berlin Syndrome is directed by Australian filmmaker Cate Shortland, of the films Somersault, Lore, and The Silence previously, as well as "The Secret Life of Us". This film first premiered at the Sundance Film Festival in January. Netflix + Vertical Ent. will debut Shortland's Berlin Syndrome in select theaters + streaming on May 26th this summer. Curious?